Last fall, Kenyon launched the Rural Resilience Initiative, which aims to examine Knox County — an area that has worked to preserve its rural character — as a resilient community and provide a deeper understanding of Kenyon’s surroundings. The Kenyon Farm is abuzz with student-kept bees, which produce local honey for sale on Middle Path. More about the beekeeping program. Kenyon’s Brown Family Environmental Center (BFEC) has added permanent funding for a new staff member to assist in event planning, land management and resource assessments, thanks to a donation from the center’s namesake family. More about new plans for the BFEC. Economics and Environmental Studies Professor Rob Alexander considers the effects of a shift to renewable energy infrastructure. Read more from Professor Alexander. A familiar marker of fall in Gambier, the Harcourt Parish Rummage Sale provides Kenyon students and Gambier residents with everything from hot dog costumes to fuzzy green carpets and coats that can handle Ohio winters. Now, for the first time in its almost 80-year history, the overwhelming size of the sale has motivated the parish to turn operation of its popular event over to the College. More about the rummage sale. In the College’s ongoing quest to become a leader in sustainable energy, the Office of Green Initiatives will install a solar thermal project on the College’s central steam plant. This could reduce natural gas consumption on South Campus by approximately 50 percent. More about the solar thermal project. Reilly Brock ’12 and Emily Carter ’17 seize a one-in-a-melon opportunity to put "ugly" produce to good use. “Kenyon taught me that truly wise people find ways to share their knowledge and leverage it for positive social change,” Brock said. “Working with food, the impacts are so tangible, so powerful and relevant for everyone. More about new OGI programs. Erin Keleske '18, a biology and environmental studies double major and a champion for sustainability efforts at Kenyon, is honored for her dedication to the College community. In the spring of 2017, building on lessons from a physics class, students installed solar panels at the Village Inn. The new photovoltaic panels will power the three apartments above the restaurant and are projected to offset 80 percent of the residents' power usage. For the fourth consecutive year, Kenyon has been awarded Tree Campus USA recognition for it's commitment to effective campus forest management. Since its first designation, the College has promoted responsible living on campus by providing interactive programs in sustainability and environmental awareness, such as the Earth Day festival that takes place every spring. In a ceremony on Feb. 16, 2016, President Sean Decatur signed the carbon component of the American College and University Presidents’ Climate Commitment, pledging Kenyon to a future goal of carbon neutrality. Decatur described the official signing as “an exciting moment,” as much for the importance of counteracting climate change as for the collaborative process involving student engagement that brought Kenyon to this point. The new director of green initiatives David Heithaus ’99 is charged with promoting sustainability throughout the College and overseeing green-spaces land management. The position takes a lead in Kenyon's effort to care for the environment, a longtime commitment that includes local food sourcing and a focus on sustainability in classwork. 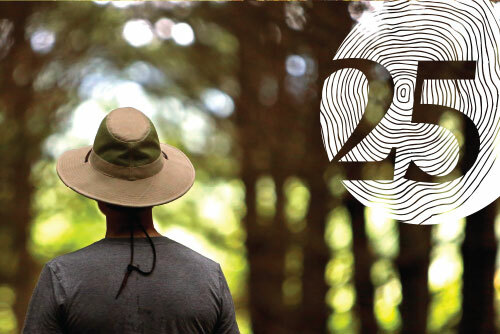 Celebrating its 20th anniversary in 2015, the Brown Family Environmental Center is a 480-acre preserve. Its mission is to conserve natural diversity and engage people of all ages with nature. The BFEC is also a resource to Kenyon College classes from art to zoology providing an opportunity to view nature through a new lens. Alumni, faculty and students collaborated to install solar panels at the Kenyon Farm. The solar array on the barn roof produces power that flows into a sub-panel in the barn, the main house electrical panel and the AEP grid equipment. A monitoring app shows the amount of power produced currently in watts and the amount of energy in kilowatt-hours over time. The Philander Chase Conservancy, while helping Kenyon protect its rural charm, has been a conservation catalyst for Knox County. It's mission is to protect the natural beauty of the farms, woodlands, waters and open spaces surrounding Kenyon College and to preserve the rural character of the region at large. At the Kenyon Farm, pastoral meets academic. Students operate the 10-acre farm, living in a house on the property and managing the care of the animals including turkeys, goats and chickens, and the growing and harvesting of field crops such as potatoes, basil and sunflowers. The Kokosing Nature Preserve is a newly created conservation burial ground, offering a natural burial option on twenty-three acres of restored prairies and woodlands. The preserve will be dedicated in October 2015. How do campus life and sustainability coincide? At Kenyon, "green" means you're connected — to the local farmers who supply the dining hall, to the rural communities where you work and volunteer, to a sustainability ethos embracing everything from coursework to energy conservation on campus. Working with the Office of Green Initiatives, students are a driving force in sustainability efforts. They play a critical role in projects ranging from recycling to renewable energy. Leadership and volunteer opportunities for interested students abound. Students take advantage of opportunities offered by College affiliates like the Brown Family Environmental Center, where they study organisms and habitats and help conserve the natural diversity of Kenyon's surroundings. Other green centers include the Kenyon Farm, the Rural Life Center, the Kokosing Nature Preserve green cemetery and the Philander Chase Conservancy land trust. This year's Earth Day Festival features an abundance of animals and hands-on activities. Kenyon's interdisciplinary environmental studies program, previously available only as a concentration, now offers a major. Starting May 7, electronic recycling will be available at the Gambier Community Center on the first Saturday of every month from 10 a.m.-2 p.m. The program is open to the public and free except for TVs ($20) and computer monitors ($5). As a liberal arts college, Kenyon College recognizes that it has a responsibility to its students, the surrounding community, and future generations to make conscious decisions that reflect the changing nature of the environment. Kenyon understands that creating a sustainable campus as well as showing respect and care for the environment should be among the core values that guide our teaching, research, service, and administrative decisions.